All ambitious fantasy managers ought to know about overlays. 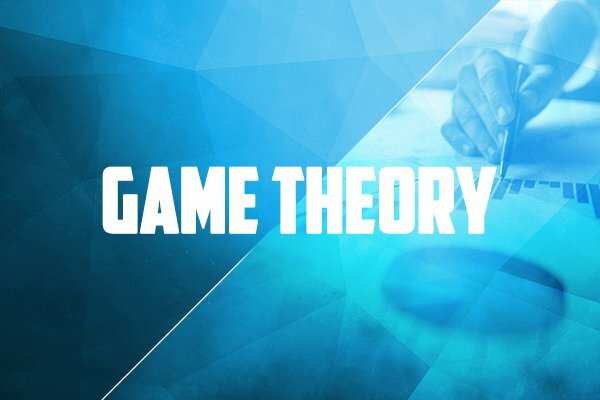 In this tutorial, you will learn what the term overlay means in the context of fantasy tournaments and what strategies you should use to increase your win rate. Every seasoned fantasy manager uses overlays to increase their win rate in fantasy tournaments. Overlays are not only found in fantasy sports, but also in other online competitions, such as poker tournaments. Is there such a thing as negative overlay? When does a fantasy tournament have an overlay? What influence does an overlay have on your strategy? How can you find tournaments with overlays? The term overlay is used in fantasy sports and fantasy football to define a characteristic of tournaments with a guaranteed prize pool . An overlay is the positive difference between the prize money guaranteed by the fantasy sports provider for a tournament and the sum of the entry fees provided by the participants. If you want to learn more about tournament forms in fantasy football, then this article will help you: Tournament Formats in Daily Fantasy Football. A fantasy tournament has a guaranteed prize pool of say €10000, the participation fee is €10 and 900 fantasy managers have registered for this tournament. The overlay is €1000. The fantasy football platform is paying more in prize money than it has earned. This is very good for all fantasy managers, not so good for the fantasy vendor. Is there a negative overlay? Now you may be asking yourself, what happens in the opposite case? What happens if more money is collected in entry fees than was guaranteed by the provider? In that case the tournament’s prize pool will increase. The fantasy platform does not keep this money to itself, but increases the tournament’s prize pool. In this case, there is no overlay because the guaranteed prize pool has been reached. Fantasy tournaments with guaranteed prize money are very attractive to fantasy managers, because you already know before the tournament how much money you stand to win. Whether or not there is actually an overlay in a fantasy tournament is determined at the beginning of the competition. If the sum of the entry fees paid by the participants remains below the guaranteed prize money, then the tournament has an overlay. An overlay raises your expectation in a tournament! The reason is very simple. Every fantasy manager has the same chance of winning the tournament and getting money. If you now calculate the ratio of your entry fee to the prize money , then an overlay will increase your average profit in this tournament. Since you have fewer entrants competing for the competition prize money in a tournament with overlay, each player who does start has a higher chance of winning. Taking our example from above, let’s calculate the expected value for a tournament without an overlay, where the participants’ entry fees add up to exactly the sum of the guaranteed prize pool. The expected value per starting place in the fantasy tournament is calculated as follows: prize money /participants . In a manner of speaking your entry fee buys you a chance of winning €10000 and you share this chance with all other participants in equal portions. Any entrant can win the tournament and they all have the same chance of winning. In this particular case, each entrant’s starting place has exactly the same value as their entry fee. This is true for all tournaments without an overlay! Consider the expectation for a tournament with an overlay. Let’s apply the aforementioned formula once again: prize money /participants. With fewer fantasy managers participating in the tournament, you have a higher chance of making the money with your €10 entry fee as there are fewer competitors. In our example tournament with overlay you buy yourself in with €10 but your starting place has an expected value of €11.11. A tournament with an overlay means that each entrant has a higher chance of making the money. Since the final number of participants in a fantasy tournament is not known until the beginning of the tournament, there is no guarantee that a tournament will have an overlay. Nevertheless, it is usually apparent before the tournament whether the number of participants targeted by the tournament provider will be reached. These two tips will help you recognize tournaments with overlays. Promotional Tournaments : If a fantasy sports provider offers one-time promotion tournaments with very high prize money, then the sum of the buy ins is often less than the guaranteed prize money. You should play every tournament you can when there is an overlay, because you have a positive expected value right from the point of registration and hence your participation is already profitable. In this tutorial, you learned what an overlay is and why every fantasy manager should play tournaments with overlays. For the sake of simplicity, the rake (the fee taken by the fantasy platform which is in addition to the entry fee) is not included. However, you can use the above formula to calculate your expected value for each fantasy tournament yourself. The bigger the overlay, the more profit is to be found in each starting place in the fantasy tournament! Good luck with your fantasy tournaments! Many experts are expecting the FantasyBet Grand Slam tournament with £25,000 guaranteed prize money to have a big overlay. No fantasy manager should miss this tournament!